Even before the cinematic release of Infinity War back in April, the Internet was already saturated with speculation and theories about how the Avengers would bounce back from the aftermath of their apocalyptic confrontation with the Mad Titan. Leaked set photos from the set of Avengers 4 teased a narrative based heavily around time-travel, setting up an epic trip back through all of the key events in the previous MCU movies for the surviving heroes. 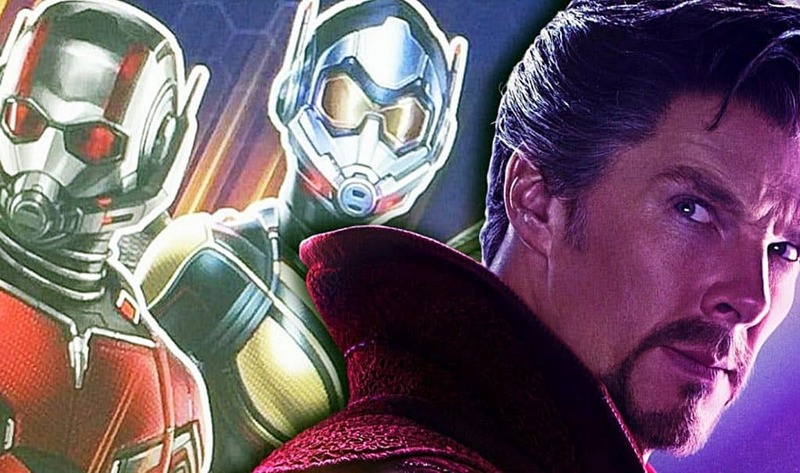 That’s a truly mind-blowing concept, and one fan theory that’s doing the rounds online at the moment has suggested that this was the only successful option that Doctor Steven Strange could foresee working – and that Ant-Man is the unlikely key to defeating Thanos. So, let’s examine the evidence behind those time-travel rumors. Well, the Avengers 4 set photos clearly show events that took place way way back in The Avengers. Chris Evans has been spotted clean-shaven and wearing his 2012 Captain America suit. Tom Hiddleston’s Loki has been snapped being taken into custody, with Robert Downey Jr. disguised as one of the SHIELD agents escorting him through the helicarrier corridors. And a number of the memorable sequences from the Battle Of New York have also been mocked up again. Avengers 4 (2019) Set Photos! In addition to this, Evans, Downey Jr. and Paul Rudd have all been spotted in costume, wearing identical tech devices on their wrists. The argument was that Tony had somehow used Stark tech to invent time-travel devices, which would see the surviving Avengers taking possession of each Infinity Stone before Thanos could, this preventing him from being able to use the Infinity Gauntlet when they faced off against him. Cap and Tony would be seen returning to the events of Avengers Assemble to take possession of the Cosmic Cube from SHIELD. Thor would travel back to the Dark World to ensure that the Aether would be safeguarded. Natasha and Bruce would turn up during Age of Ultron, to take Loki’s staff. With Rocket and Nebula heading back to the Guardians of the Galaxy to take custody of the Orb from Peter Quill. Now, given the photographic evidence on display, all of that still seems highly feasible, but this new theory that has now come to light suggests that it’s not Stark Tech that the team will be using, but Pym tech. And the reasoning behind this? The events of Avengers: Infinity War, and also Ant-Man and The Wasp. Jump forwards now to the post-credits scene after Ant-Man & The Wasp. The Pyms send Scott on a mission into the Quantum Realm, and seconds later ‘the snap’ wipes them from existence. We already know from both Ant-Man movies that the Quantum Realm is unaffected by what happens in our reality, so Scott potentially survives the snap by a matter of seconds when he enters it. And it could well be that those were the seconds that Doctor Strange bought when he bargained for Tony’s life during Infinity War. Marvel have already gone and cast a new, older actress to play Scott’s daughter Cassie Lang for Avengers 4, which seems to indicate that Scott will be trapped in the Quantum Realm for a significant amount of MCU time. But his presence with Cap and Tony in the Avengers 4 set photos demonstrates Scott will saved. And when he is, his Pym tech and knowledge of how time works in the Quantum Realm will be the means by how our heroes travel back through time to secure the Infinity Stones. 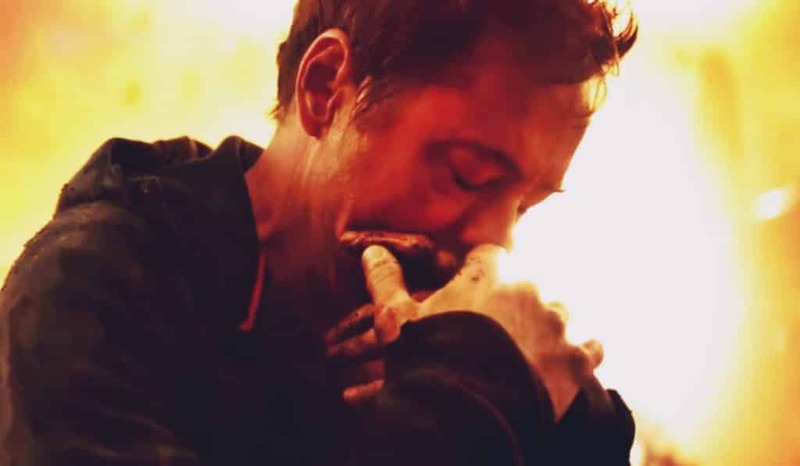 So Strange wasn’t trying to save Tony at all, because without Scott, Tony would not be able to come up with the time-travel devices needed for the 1 plan in 14 million that could actually work. This whole argument is perfectly in keeping with how the MCU and it’s writers work, and all sets up Avengers 4 to be even more awesome than Infinity War. What do you guys think? Is this all bunkum, or pure brilliance? Sound off below!